Have you ever looked up on a Saturday afternoon, realized you haven't seen your kid and looked into their room to find them still somehow slumbering? Does your kid have a strange ability to sense when there are snacks around, snuffling around the kitchen as soon as you've tucked those cookies on the top shelf for your private consumption? Have you seen your child catch a salmon with their bare paws while standing in an Alaskan mountain stream? Well, maybe you've never seen that last one happen, but if you've noticed their ability to hibernate and a tendency to take interest in whatever is in your picnic basket then your kiddo would fit in well with the bear crowd. Brown bears live pretty peaceful lives out there in the woods. They snack all summer, sleep all winter, and repeat. Other than their occasional run-ins with the authorities when they're rummaging through dumpsters for some human-made delicacies they get a lot of respect for an animal who naps so much. That's a pretty chill existence, not a bad animal to emulate. 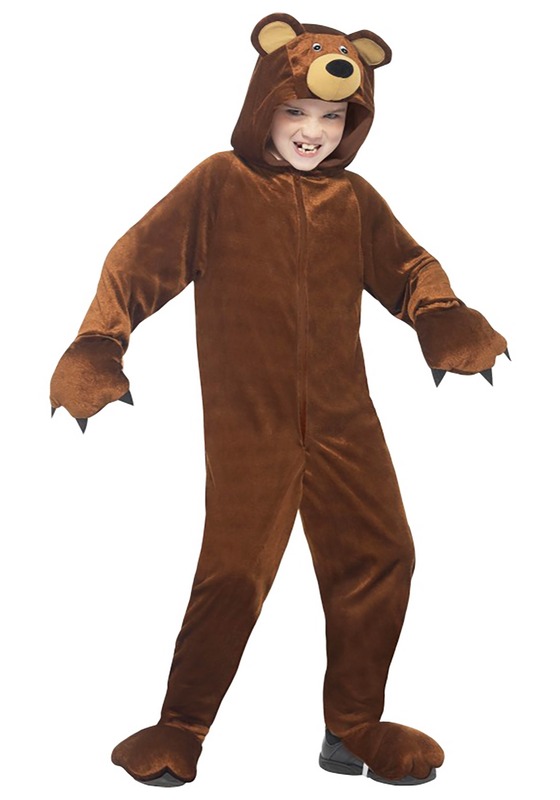 When your kiddo is dressed in this velvety bear jumpsuit it'll be up to them what kind of bear they want to be. Are they of the sweet Teddy variety? Maybe the tough rummaging bear is more their thing. However they decide to act, you'll have to grin and bear it. 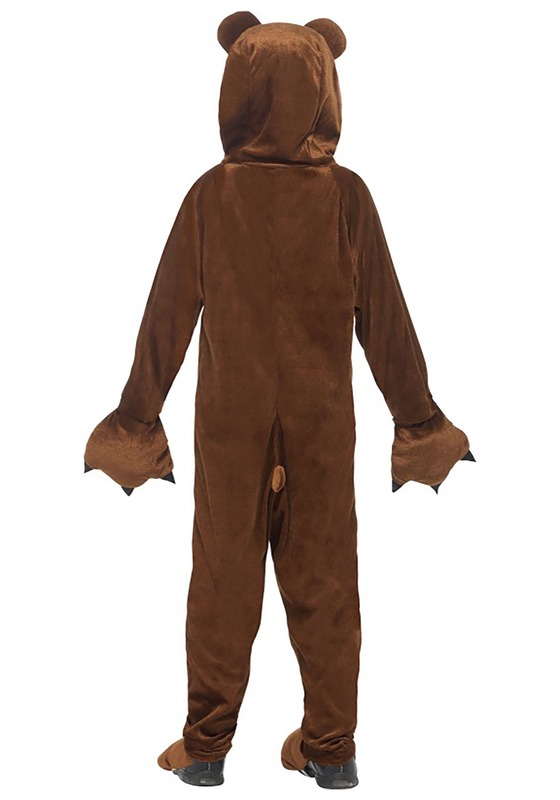 Whether your kid wants a super cozy Halloween costume or they scored a leading role in their school's rendition of Goldilocks they're sure to enjoy this bear suit. Whatever you do, put that honey jar out of paws reach or you might have a super sticky situation on your hands.